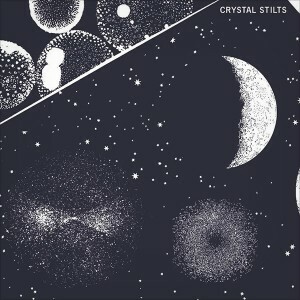 After a well-received debut album in 2009, Brooklyn band, Crystal Stilts are back with their latest offering to the noise-pop world of music. With the production of their second album, In Love With Oblivion, this group of artists has stretched their songwriting ability and musicianship further than with their debut release, and in doing so has created something in between the perfect pop record and an ode to musical experimentation. Rare as it is for all album tracks to be strong, Crystal Stilts seem to have pulled it off with their beguiling 11-track mix of punk-y rhythms and oblique verses. Difficult as it is to pick a standout track, “Shake The Shackles” seems to make optimum use of the slack-strung guitar, pop organ, and fast paced tambourine that are so atypical of this band. “Alien Rivers” sets a spookier tone for the album with its almost psychedelic feel, whilst â€˜Through the Floor” will stick in your head thanks to a strong guitar-led melody. From album opener, “Sycamore Tree,” a track that even Joy Division would be proud of, right through to the pounding rhythm and distort of “Prometheus at Large.” Crystal Stilts have surpassed anyone’s expectations with this lively homage to post-punk.